Security of your important data is the most crucial concern, John the Ripper is a free tool widely used by ethical hackers and security testers to check and crack passwords. 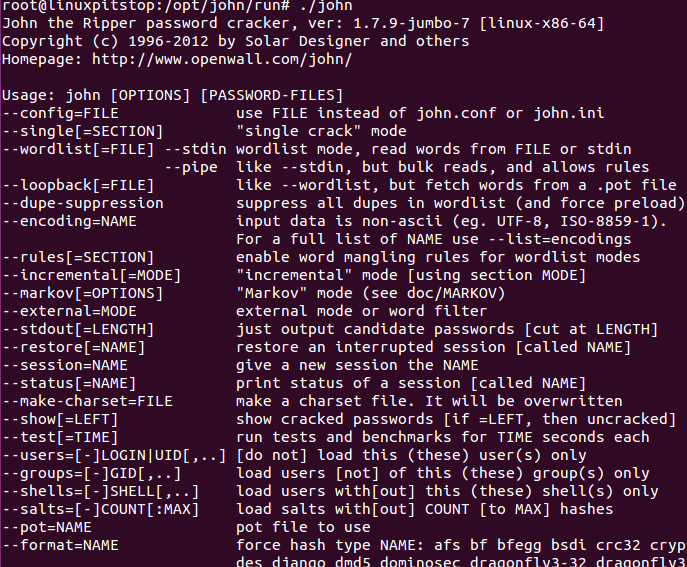 It lets you identify weak passwords and take measures to harden your security. Due to the popularity of this tool, it is part of security focused Linux distributions like Kali Linux. Let’s see how we can install and use this tool on Linux operating system. We tested the following mentioned installation method on Ubuntu 15.04, Fedora 21 and Linux Mint. The following installation method should work for most Linux distributions, launch your system terminal and run following command to change your working directory to /opt. Here run following command to download the binary zip for John the Ripper. Once the download is complete, run following command to extract the downloaded file. If you have 64-bit Linux operating system, run following command to install it. 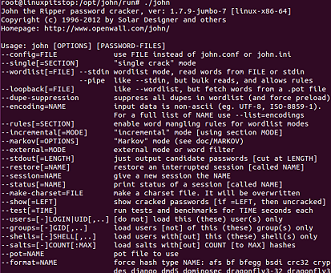 If your operating system architecture is 32-bit, run following command to install John the Ripper. 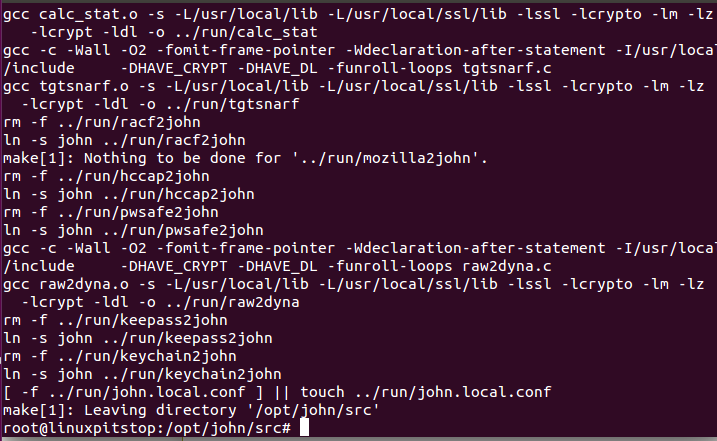 Congratulations, John the Ripper has been installed on your Linux system now. This is how successful installation process should look like. Here run following command to bring John the Ripper into action. Follow the official John the ripper page for details about how to crack passwords using this tool. John the Ripper is available in both free and paid versions; Paid version is known as John the Ripper Pro and comes with many advanced features. But free version should suffice for the needs of most of the users. Can please provide complete details of where you are seeing this error?